MOR Cebu 97.1 announced on Friday, January 4, 2013 via Facebook that radio auditions (pre-screening) for Cebu City for the upcoming 'The Voice of the Philippines' singing contest on ABS-CBN will start Monday January 7 and ends on January 11, 2013. 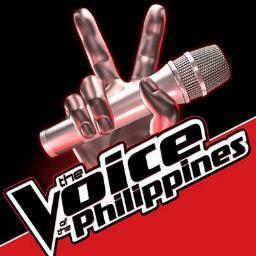 "If you have the voice, join the pre screening of "THE VOICE of the Philippines - Radio Auditions on January 7 – 11, 2013. 9am – 5pm at MOR, ABS-CBN COMPOUND, NORTH RD., JAGOBIAO, MANDAUE CEBU. Get the chance to win the P2M grand prize. Be the VOICE of the Philippines. ', MOR Cebu said. - Contestants may do solo or duo. - For contestants under 18 or are otherwise a minor, one (1) parent or guardian will be allowed at the audition. In a Facebook post of MOR Tacloban, it says that the reality show will start on June 2013. Also, as confirmed from some reliable source, there's no confirmed judge and host yet for 'The Voice'.